Copy My Cashflow is another make money online program that promises you can easily start making money online within a day and go ahead and create a full-time income from this system. But does this system really work or is it too good to be true? If you are planning to invest in this program then read the complete review before you go ahead and invest your time and money into something like this. What is Copy my CashFlow? Copy my cash flow is an internet marketing program where you are going to be handed over one of the many ready-made sites made by Josh. The site will immediately start making you money and Josh has a full proof system where he claims that the site he gives you will make you at least $1000 per month. The program is intended to help you make a full-time income online and if you are interested in making money from this program then let me tell this to you that I do not think I would recommend this program. I highly doubt if it would actually help anyone make any money online and for more discussion on this, continue reading the review. 1. 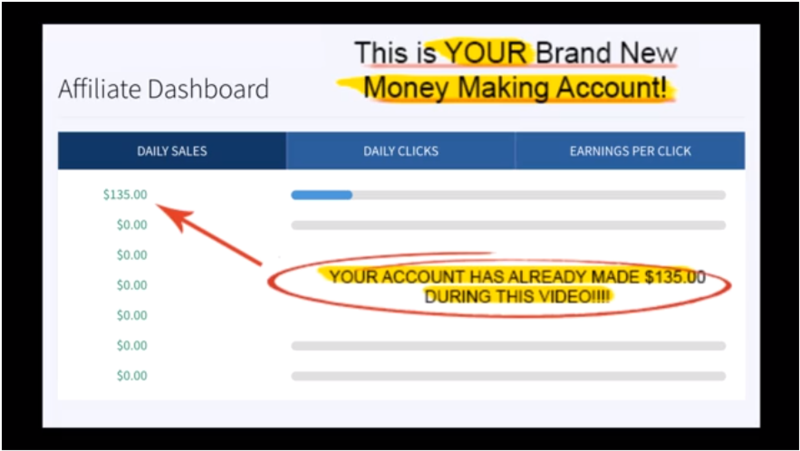 On the sales page, you are told that once you finish watching the promotional video and sign up for the program you will be handed over a website that makes you over $1000 per month. I don’t understand why would someone want to sell you a site that makes $1000 for just $37 of sign up fee.That gives you a lot to think about. 2. There are dodgy screenshots in the promotional video where he says that your account would bring in hundreds of dollars in the first few minutes of you signing up for the program. This is a bit too much, I know you can make money online but if it were this easy then everyone would be doing it. 3. The success stories of the people who have bought the program look FAKE. It is fake to an extent that you have no doubts that they are lying and are probably paid to say that this thing works. The wide eyes and the way over the top surprised and happy faces really give away a lot about the program. 4. The entire sales page from the beginning to the end seems dodgy where the owner never explains how you can just start making money so soon and why would he be selling away web properties that make so much money for cheap. To be honest, why doesn’t he keep the website and make money himself rather than selling it for such a low sign up price. 5. Josh says that in just three steps he can start making you money if his skills are so good, why would he be offering them for $37. He would rather build multiple of these websites for himself and start making money in the three steps that he mentions. Basically, he is trying to sell you the fact that you can make $1000 by just paying $37 which a right minded person would never believe. 6. If you are a beginner and really want to get started by making money online then there are chances that you might probably buy into such a SCAM but I would highly suggest that whenever someone says that they are going to make you money within a few minutes, you should realize that you need to navigate away from that website because such promises are usually fake. 7. They try to show you that there are only a few spots available and the program would be closing soon so that you would buy the product as soon as you can. This is another marketing technique that these people use in order to sell their product and create a sense of demand among the users. When someone says few spots available, claim your spot now- You can be sure that even after a few days it would say the same thing and the bottom line is that they are simply lying to you. Staying away from such program something I would highly recommend the beginners in Internet marketing who really want to make some real money online. Copy My Cashflow is sadly not going to help you make any money online. I still remember when I was new to internet marketing I wanted to start making money online way too soon and it felt like none of these programs would work. All they did was make a promise and never deliver, I thought it was better to invest in a training that would actually teach you how to make legit money online. The training where I started my online journey was Wealthy Affiliate and I haven’t looked back since then once I joined the program. If you are looking for ways to make money online with low or little investments then you can start the way I began my online career. It involves no inventory and all you need is a domain and hosting to get started. You can get started for FREE as well and you would even receive my one on one coaching and personal expertise on how I made a full-time income from my website. The training teaches you affiliate marketing and how you can easily make money by setting up a website in any given niche. You can learn how to make money online the way I did and with my one on one mentorship as well. The training I went through to build successful affiliate websites is free to get started with and the quality if the training is much better as it is more organized and easy to follow. You can read my online journey here. If you have any further questions then leave them in the comments section below! Do share your experiences with Copy my CashFlow as it would help the other readers.